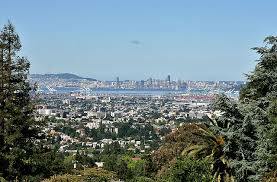 Once referred to as “The City of Millionaires,” Piedmont is a small affluent city located in Alameda County. Once home to such people as Jack London and Clint Eastwood. It has a modest commercial district in the center of town with the nearby Oakland neighborhoods of Montclair, Grand Lake and Rockridge satisfying locals with supreme shopping and dining experiences. Piedmont Community Hall, with its delicately manicured lawns and mini-sized Japanese Tea House, is one of the most popular event venues in Northern California. Once a thriving mulberry orchard, Piedmont consists of established high-quality homes designed within its majestic, yet quiet tree-lined streets. Nestled among the Oakland Hills, its setting provides stunning views of the San Francisco Bay and its small 1.7 square mile compass offers an abundance of parks and outdoor landscapes. A small town with a grand attitude, Piedmont exhibits all of the majestic elegance that is prevalent in California’s world-class communities.